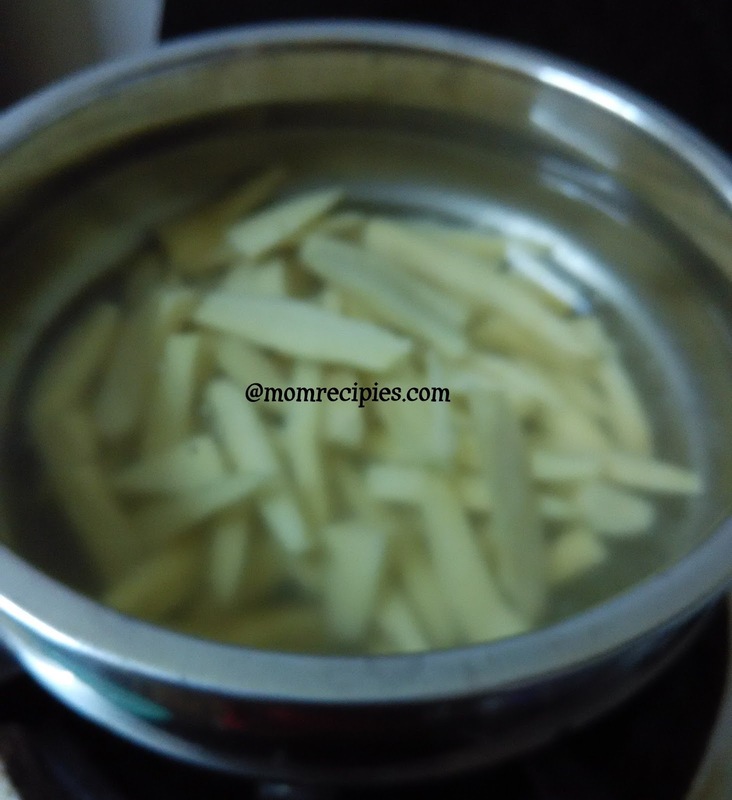 Sweet potato fries is one of the popular Indian crunchy snacks recipe for fasting, which peoples oftenly prepare at the time of festivals like Navratri ,Maha shiva ratri ,Ekadashi etc. It is very simple and easy to make. They look similar to french fries but taste is different. Kids will love it. 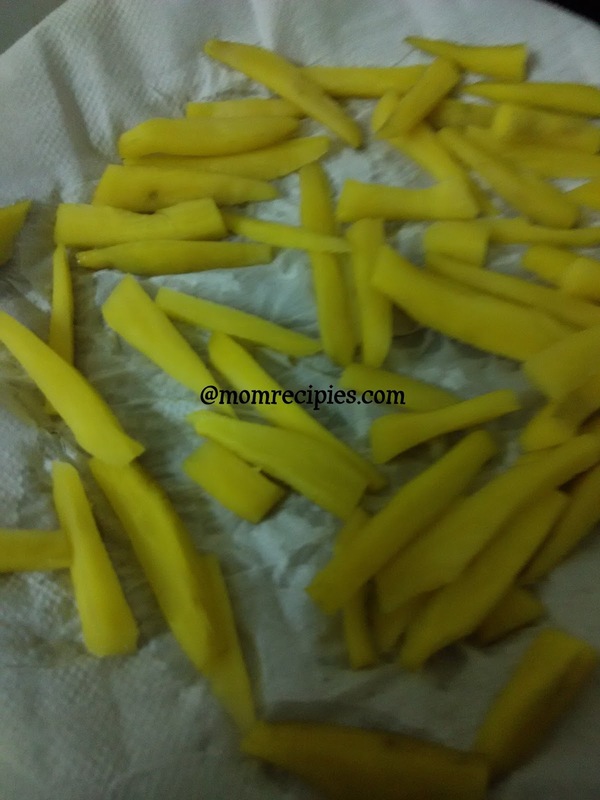 These fries are perfect to munch with tea also.Try this out yummy Sweet potato fries. 1) Wash, peel and cut Sweet Potatoes to desired size and shape or like french fries.Put them immediately in water to avoid blackening. 2) Avoid cutting very thin slices. 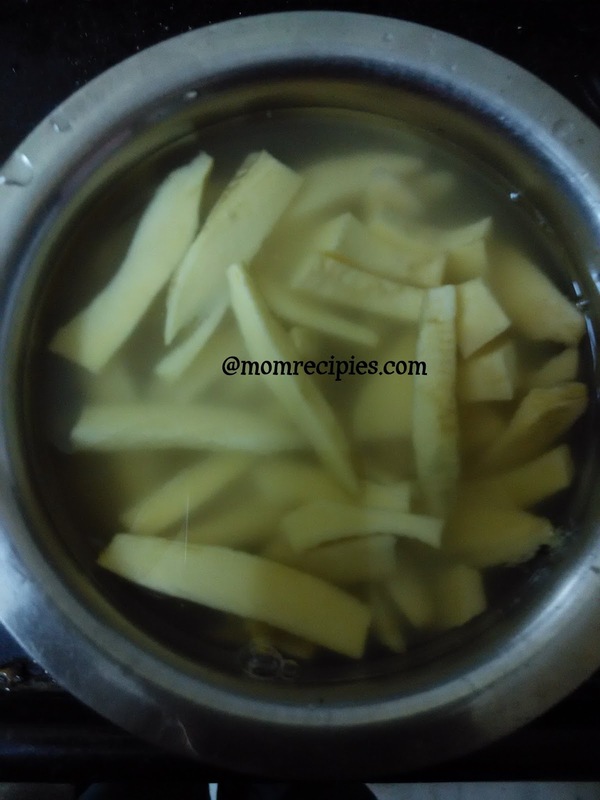 3) Boil water in a bowl and add the salt then add sweet potato wedges in it for few minutes. 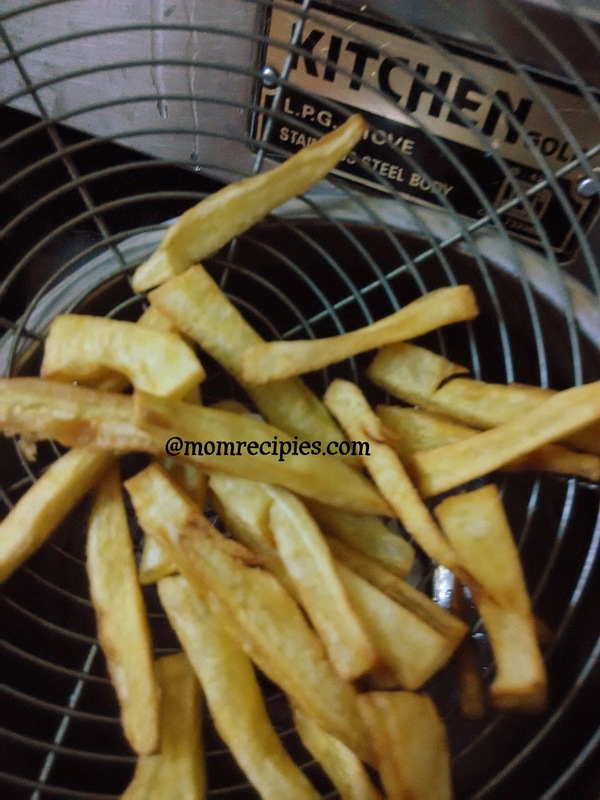 4) The wedges need to be soft or half cooked.Make sure they are not overcooked or falling apart. 5) Once done drain the water and pat dry sweet potatoes with clean towel or paper towel. 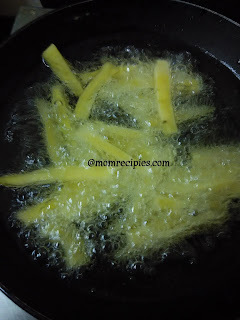 6) Heat oil in a kadai for deep frying, make sure that oil should be hot or you can shallow fry also. 7) Put the wedges in oil, fry them until become golden brown, crispy and tender. 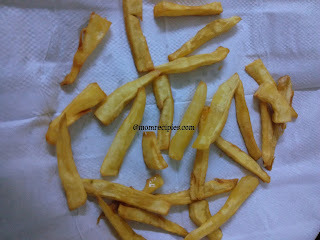 8) Now take them out in a tissue paper so the excess oil absorbs. 9) After frying all the fries take them in a bowl . 10)While the fries are still hot add salt ,cumin powder ,red chilli powder . 11) Toss to coat spices evenly and enjoy the yummy fries. 12) You can have this with fasting chutney like basil chutney or coriander chutney or any other of your choice or as itself also. Variations - 1) If not for fasting You can add any dry herbs of your choice. You can add garam masala, Amchur powder ,Citric Acid, Chaat masala and make sweet potato fries . 2) You can add salt and pepper powder alone for a simpler version. Sweet potato wedges should not be too thick as they will not get cooked ,nor too thin as they will get burnt. Fasting Rules may Vary from one family to another.So check before trying any Fasting Recipe from the Website.